And don't ask them to talk to their doctor because they probably don't have one, says @NightshiftMD. The influenza season is just beginning and that means many Canadians are rolling up their sleeves to get their flu shot. But there's a growing chorus of doubt about the benefit and safety of vaccines — and some of it comes from a surprising new source. The latest skeptics are young people. That's the main conclusion of a 2018 report entitled The State of Vaccine Confidence in the EU: 2018. It's put out by the Vaccine Confidence Project, a website created by the London School of Hygiene and Tropical Medicine to (among other things) "monitor public confidence in immunisation programmes." The 2018 report measured vaccine confidence among 28 EU nations. Between 2015 and 2018, confidence in vaccines decreased in Poland, Czech Republic, Finland and Sweden. Overall, young people surveyed were less confident and more skeptical of both seasonal flu shots and MMR (measles, mumps and rubella) vaccines than older people. Those aged 18 to 24 were 28 per cent less likely than those aged 65 and older to agree that vaccine are safe. Those aged 25 to 34 were 39 per cent less likely than seniors to believe in the safety of vaccines. Researchers think younger people are less confident in the safety of vaccines for several reasons. One factor, paradoxically, has to do with the level of education. Compared to older citizens, younger people tend to be better educated. The survey found that those with the greatest education were less likely to agree that vaccines are important for children, that the MMR vaccine is important for children, that vaccines are safe and that vaccines are effective. This is speculative, but it's possible that younger people are less confident in vaccines because they favour social media over mainstream media sources of information. Social media tends to be more skeptical about the safety and efficacy of vaccines. Another factor is that some doctors themselves aren't confident about the safety and efficacy of vaccines. Where GPs were less confident, the public was less likely to feel positive about rolling up their sleeves. The survey found that 36 per cent of GPs surveyed in the Czech Republic and 25 per cent in Slovakia did not agree that the MMR vaccine is safe. A majority of GPs surveyed in these countries said they were not likely to recommend the seasonal influenza vaccine. Another factor is level of education. The 2016 survey of vaccine confidence looked at 67 countries including Canada. Overall, Canada and the U.S. had higher levels of confidence and lower levels of vaccine skepticism compared to eastern and southern European countries. However, Canada, the U.S. and Mexico had higher levels of concern about vaccine safety than countries in South America. New mothers are by definition younger patients. A 2018 study of mothers of newborn infants at four maternity wards in Quebec found just over 56 per cent of mothers had a low level of vaccine hesitancy. However, nearly 29 per cent had a moderate level, and 15 per cent had a high level of vaccine hesitancy. The higher the level of hesitancy in the mother, the less likely she was to have her baby vaccinated. This is a growing problem with implications for public health. If vaccine confidence is on a downward trajectory among young people, then we'll likely see falling rates of people getting the MMR vaccine as well as immunizations against pertussis (whooping cough), chicken pox and other infectious diseases. It means that herd immunity will drop. That will put Canada at risk of large outbreaks of measles, mumps, whooping cough and other diseases that we've been close to eradicating. 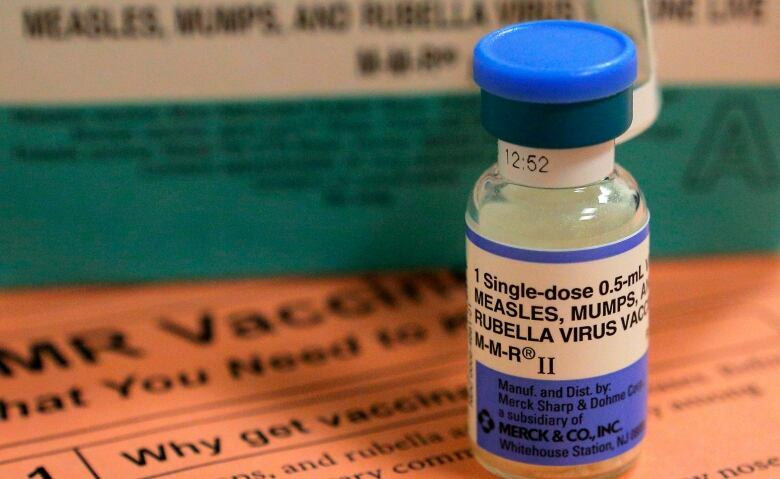 Europe is in the midst of a major outbreak of measles. The same thing could happen in Canada and the U.S.
We would also likely see lower rates of immunization against seasonal flu. That would mean more Canadians would get the flu, and more would suffer complications such as pneumonia. Lower immunization rates would make it more likely that frail seniors and others with chronic illnesses would be at higher risk of contracting the flu, being hospitalized because of complications, and dying. Researchers and public health experts are trying to find ways to increase levels of immunization among young adults. 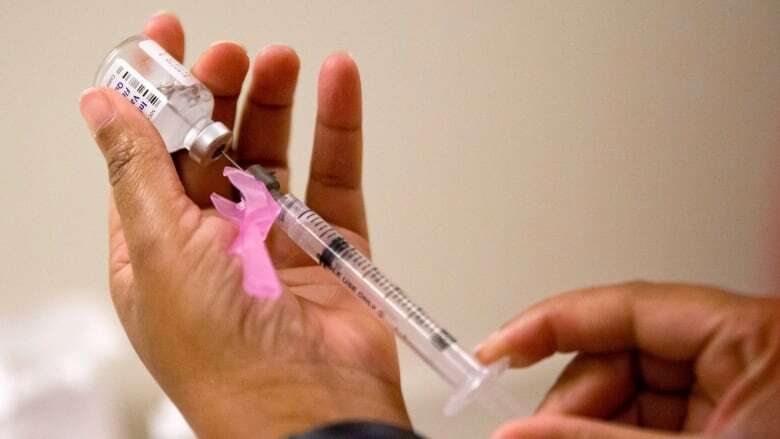 On U.S. college campuses, flu vaccination rates range between eight and 39 per cent, far below the recommended figure targeted by experts, according to a report by the National Foundation for Infectious Diseases.. So what are the best ways to get college students to think differently about flu shots? It likely won't happen through family doctors because many young people don't have one. That means finding new ways to reach them. In Michigan, just nine per cent of people ages 18 to 24 were getting annual flu shots. Authorities in Michigan designed a program for college students. They created an audio ad called "I Never Get the Flu," and put the ad on Spotify, the preferred music streaming service at Michigan colleges. They also ran a TV PSA entitled "Protect Yourself, Protect Your Family." The ads on Spotify earned over one million impressions, and as many as two million impressions for the TV ad. The program resulted in a 60 per cent increase in flu shots given on campuses in Michigan Other states have copied the Michigan campaign. Getting creative in trying to reach young adults got results. Let's hope public health officials in Canada get the message.